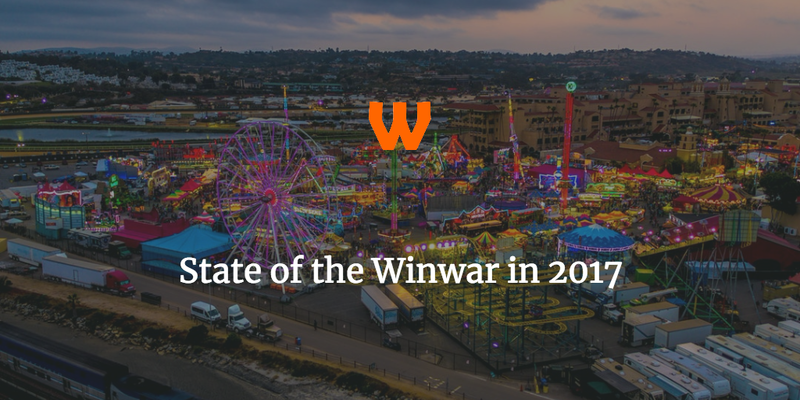 So as per usual in December I’m doing a recap of the state of Winwar Media for the past year. It’s been an interesting year here. A huge amount of change in my personal life has seen not the level of growth that I’ve wanted – had struggles with getting people involved more has seen me struggle – but overall I think I’ve had the best year so far. There are changes on the horizon, which could affect my business, but I’ve a few things open and a nice comeback for one of my sites has been welcome. Do a Social/SEO Course for Bloggers: Missed as I’ve only written two posts, and there’s so much work to do with this. I pivoted this slightly (more on that below), and there are better ones out there, so abandoned it. I’ll probably release the two posts I’ve written as free articles. Speak at 2 WordCamps and 1 Non WordCamp Event: This was a surprise. I applied for 2 WordCamps – WordCamp Europe and WordCamp Brighton, and I didn’t get in either. So August came around and I was still at zero talks. I did do a lightning talk at WordCamp Manchester and did a talk promoting MWUG to students of Manchester Metropolitan University, which was a great honour, but yeah – I didn’t do any public speaking this year. Strange. Build up Buy Pop Vinyl: This was a content site I was looking to build over the course of the year, unfortunately personal circumstances and content writers going awry meant it has long since been abandoned. I’ll probably sell it soon (any offers?). Build 2 addons for WP Email Capture (currently have 2, aiming for 4) – I have 3 right now, I did build 1 (Akismet Integration for WP Email Capture), and have one I need to build, but whether I get round to it this year remains to be seen! The way I worked did seem to work I’ve feel like I’ve got a lot more done than usually so I’ll be continuing next year. So that’s a positive. A site that took a bit of hit is Wrestling Betting. It was great at the beginning of the year with two great months, and then half way through the year 888 were hit with a huge fine. As a result, a number of affiliate programmes – which were stupidly profitable, were closed. As such instead of having 10 or so affiliate programs, we’re now down to about 4. It’s still working and successful, but not quite as successful as it could be. One site that has improved has been Retro Garden, I made a few changes halfway through the year and they’ve had a huge success in the amount of conversions. I’m happy, and I’m looking to increase the posts on that site over the next year. A few months ago I changed the structure of WP Taxi Me Premium and Inline Tweet Sharer Premium. In short: when you purchase a plugin, you automatically sign up to a recurring payment for 30% less per year. All plugins have a year’s worth of updates and support, and every year you must renew to get new updates and support. What happens now is rather than getting the users to renew manually they can now renew automatically. So far, I’ve not had any renewal but no real drop of number of people put off by signing up. A few people have bought the plugin and immediately cancelled (it’s allowed, they just expire when they hit a year after), and I’m happy with it. Hopefully within the next few months I roll it into WP Email Capture. So the same as last year here’s a roundup of stats for my 3 main sites between 2016 & 2017 from January to November. Like last year I’m not sure what to provide knowledge wise, so if you have any questions, or insights you want, feel free to put it in the comments. Traffic is up 89% on last year. Yes. Eighty-nine percent. This was largely due to the increase of blog posts on the site acting as landing pages (more on that later). The most traffic for a single day was 168, on July 26th, which the day where I talked about My WordCamp Europe Facebook Marketing Campaign, which was a popular post particularly on Social Media. The most popular post (in both this year and ever) is Your WordPress Not Secure in Google Chrome, here’s how to fix it…, which had over 11,000 visitors (in fact that post had nearly as many visitors as all pages of last year). The most popular plugin was WP Taxi Me Premium. Traffic is down 23.36% on last year. The most visitors on one day was 61 on 27th April 2017. No real reason why, good luck I guess! The most popular post is How to Set Up WP Email Capture Free, which is unsurprising as I refer to it a lot. The most popular post from 2017 was the Top 3 Email Marketing WordPress Themes for 2017. Wrestling Betting as alluded to earlier has slowed a bit, with Traffic down 20.28% on last year. The most popular post is the Wrestling Betting Sites Comparison Page, and most popular regular post was (unsurprisingly) WWE Wrestlemania 33 Predictions. Anyway, that’s been my 2017, and my focus on 2018. Where has your head been? Please let me know in the comments! « Winwar Media & Friends WordPress Black Friday 2017 Product Discounts!